A new year brings with it opportunities to make a difference in our community — and have fun doing it. Because this is Dallas, nearly every cause has a luncheon, gala, or party to support it. Happiness is contagious at the annual fundraising event that celebrates bringing joy to homeless children through the magic of birthdays. 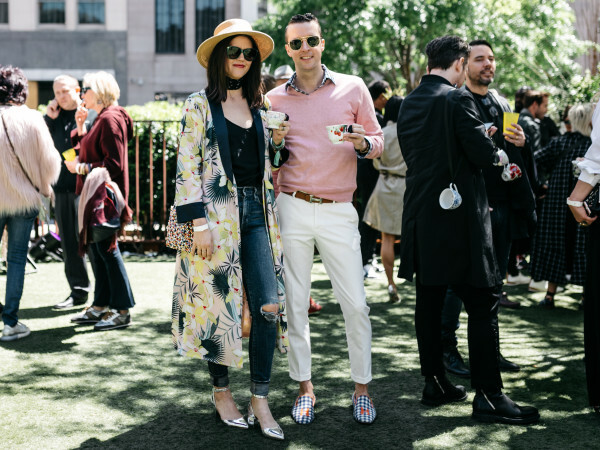 This laid-back party at Sixty Five Hundred focuses on fun versus fancy, and this year's theme is Live From Dallas It's Saturday Night. Passionate event chairs Jennifer Burns and Julian Leaver promise it's going to be bigger and better than ever. This storied ball brings together some of the city's brightest female leaders to toast the service organization that provides hundreds of trained volunteers to Dallas nonprofits every year. Ball chair Ashley Allen and honorary chair Debbie Oates are excited to welcome members past and present to the Hilton Anatole for an evening of dinner and dancing, featuring music by Think Big Party with Bullet Proof Brass. Tickets for this year's ball, themed To Dallas With Love and open to all, start at $250. Suicide is a tough topic, yet event founder Yvonne Crum raises awareness for it with compassion and grace year in and year out. This fashion show and dinner is different in that you leave having learned the personal stories of all the fashion stars chosen to raise awareness and money for the Suicide and Crisis Center of North Texas. This year's participants include Sherice Lynette Brown, Francis Harrison Brito, Laura Fedock, Laurie Graham, Gina Marx, Kristy J. Morgan, Shelley Herrera-O’Neal, Shayema Rahim, Whitney Roberts-Kutch, Bridget Sommerlatte, Carmen Sargent, and Amanda Ward. Tickets to this event, being held at Dallas Country Club, start at $250. Once one of the most prominent fundraisers in Dallas, the Yellow Rose Gala returns in 2016, and expectations are high. At the helm of this momentous occasion is Fallon Wynne Way, daughter of Yellow Rose founder Dee Wynne, who passed away from multiple sclerosis in 2014. Tickets for this event, at the Renaissance Dallas Hotel, start at $500. Proceeds benefit progressive MS research through the National MS Society. Back for its fifth year, this exhibition and auction held at the Dallas Contemporary brings together iconic and specially commissioned artworks by established and emerging talent. Interesting and inspired attendees come dressed head to toe in wearable works of art. All proceeds from sales benefit the MTV Staying Alive Foundation and the Dallas Contemporary. Tickets start at $1,000. This luncheon supports New Friends New Life, a nonprofit that restores and empowers formerly trafficked girls and sexually exploited women and children. This year's speaker is Amal Clooney, who is making her first trip to Dallas to share her passion for protecting human rights. Event chair Jeanne Johnson Phillips is joined by a squad of honorary chairs, including former first lady lady Laura Bush, Ruth Altshuler, Caren Prothro, Annette Simmons, and Nancy Ann Hunt, for this powerful afternoon at the Hilton Anatole. Sponsorships start at $2,000. The Women's Council of the Dallas Arboretum celebrates 28 years with a Steel Magnolias theme. This arboretum luncheon includes champagne, hat judging, and a Jan Strimple-produced runway show featuring looks from Tootsies. This was one of the first times we saw the potential cast of the Real Housewives of Dallas frolicking in their large hats amid spring showers last year — will they return this year? Tickets start at $200. Dallas Museum of Art is one of the city's treasures, and for that reason, this is one of the most exclusive and highly anticipated galas of the year. Ann and David Sutherland are taking the reins of this year's ball, themed Art+Architecture. Expect a seated dinner, live and silent auctions, and a festive after-party hosted (for the first time) by the Junior Associates. Although we doubt that John Legend's 2014 Art Ball performance can ever be topped (last year Solange Knowles was the guest DJ at the after-party), we know the chairs are up for the challenge. Underwriting opportunities start at $4,500. Fashionistas, you've never truly experienced a runway production until you've attended this black tie gala. The spectacle at Omni Dallas hotel, themed Circo Rouge, showcases a curated selection of one-of-a-kind jackets, as well as looks from sponsor Traffic LA and unexpected theatrics. Tickets, which start at just $350, include a cocktail party, silent and live auctions, seated dinner, runway show, and thrilling after-party. This year is sure to be the best yet for Genesis Women's Shelter and its annual lunch, as co-chairs Nancy Rogers and Gina Betts welcome funny guy Tyler Perry as featured speaker at the Hilton Anatole. Perry, an established actor, director, screenwriter, producer, playwright, author, and philanthropist, was born into poverty and raised in an abusive household. He shares his story of strength, faith, and perseverance, which ultimately led to a successful career. Underwriting opportunities start at $1,750. Go ahead and start praying to the weather gods for this delicious event held on the grounds of the Rosewood Mansion on Turtle Creek. This elevated backyard bash showcases the culinary talents of chefs from Dallas and beyond. In addition to sipping sparkling wine and sampling succulent mini dishes, who can resist the opportunity to pick from the plentiful wine pull? For more information, contact TACA at 214-520-3930. Arts enthusiasts return to the Margot and Bill Winspear Opera House for cocktails, a seated dinner, and a cozy performance by Justin Guarini and his band. Word on the street is that the after-party will have even the most serious philanthropist busting a move. Tickets start at $1,000, and dress code is listed as creative and fun — aka no tuxes. Funds support the Dallas Theater Center's artistic and educational programming.